This is it! 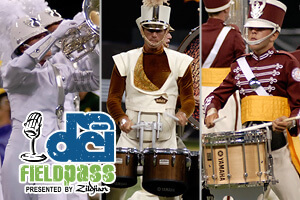 The 2011 Drum Corps International competitive season steps-off at the end of this week! To prepare, the Field Pass presented by Zildjian, is previewing this year's productions of last year's top 12 with DCI Artistic Director Michael Cesario. We've made it to the top six, with Phantom Regiment, the Cadets and Carolina Crown in today's episode.